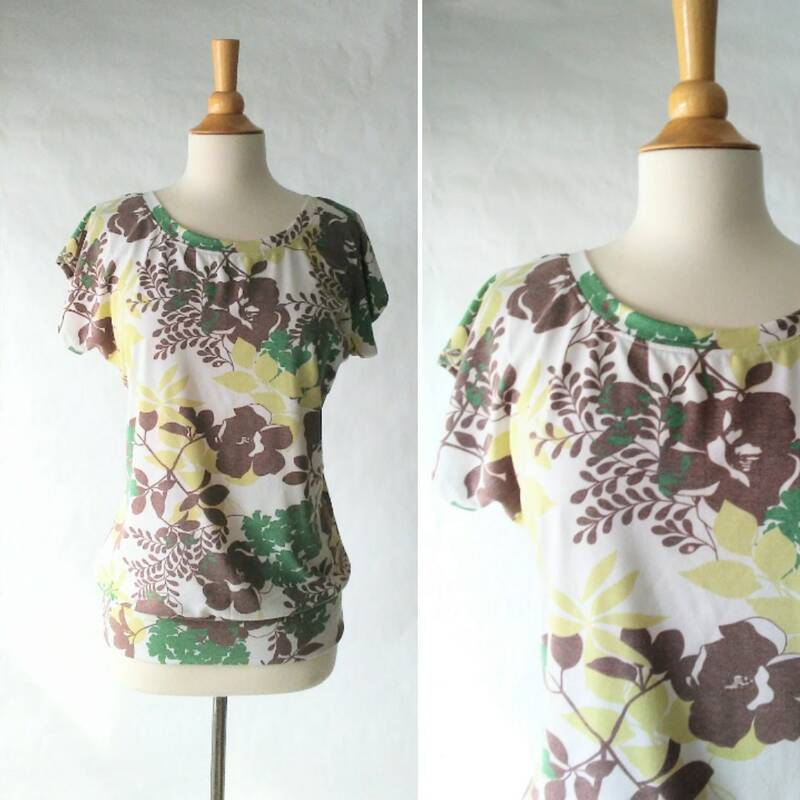 A fun easy short sleeve super lightweight tee in white green lime brown floral print. 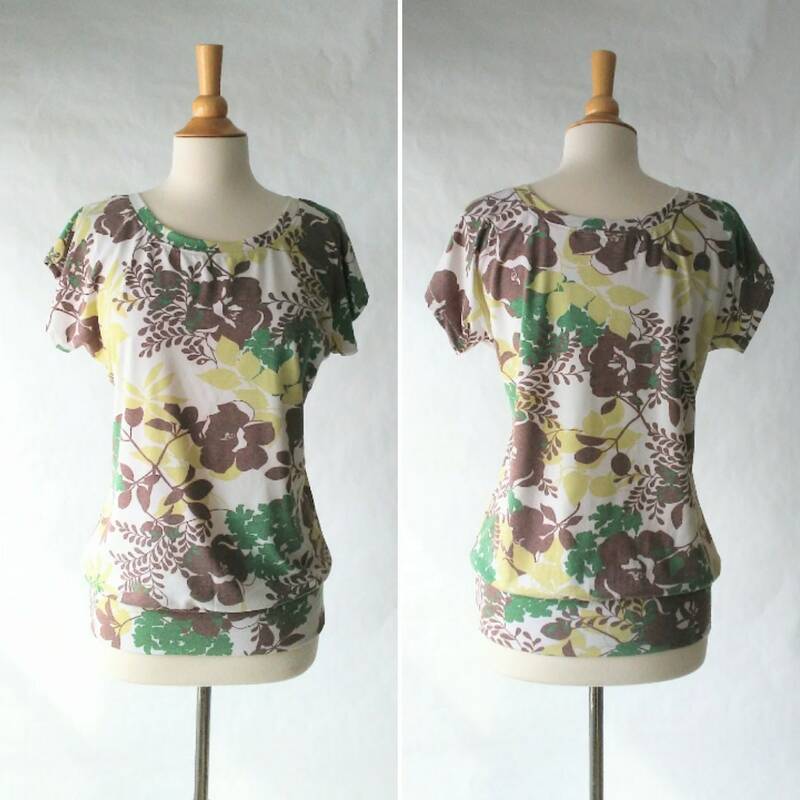 Made from a super soft lightweight rayon knit jersey, it has a scoop neckline in front and back and short dolman sleeves. Sleeves are hemmed and the bottom is banded. 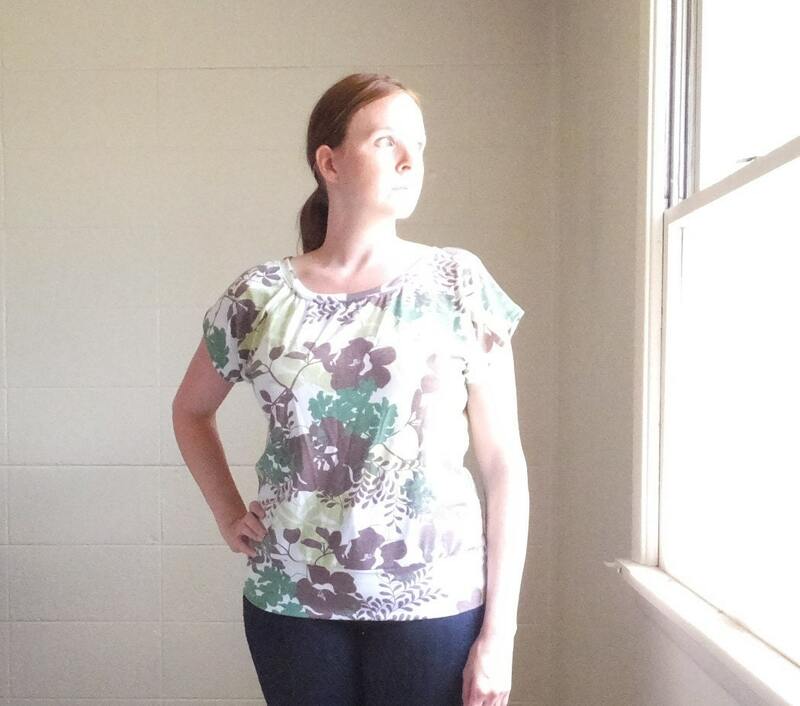 The fit of this blouse is loose and flowy, with the band bringing it all back in at the waist/hip. Length from shoulder to hem on size small is about 26"